I was trying to decide what to do today for my Technique Tuesday. I was looking at the retired stamp list and noticed one of my favorite background stamps was on it. So I decided to show an oldie but goody technique using my favorite background stamp before it is gone for good. Remember if you don’t already have this great stamp you can get it for 10% off right now. I learned this technique when I first started in Stampin’ Up! about three years ago. I think that sometimes we need a refresh on some of the classic techniques. It’s also a great reminder of how awesome our background stamps are. First you will need to ink your background stamp. I’ve found the best way is to put the background stamp flat on the table and apply your ink to the stamp. I used the Brocade Blue because I wanted a darker look. Finger Walking- Put your paper on your background stamp with the background stamp still laying down on the table. Gentle walk your fingers up and down the paper. The idea is to only get some of the ink on the paper instead of all of it. This will give it a nice random pattern. 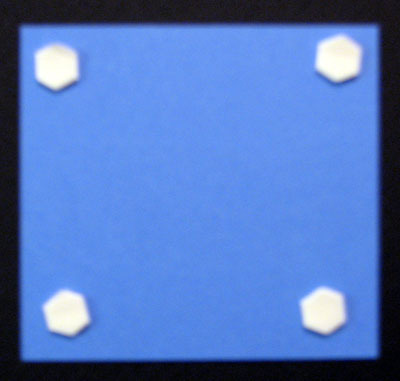 Stamp your saying on the bottom center in Brocade Blue. 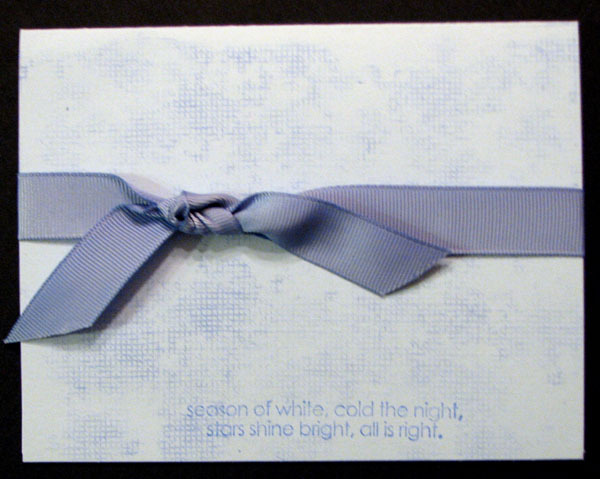 Tie your ribbon around the card. Tie the silver cord around the knot in the ribbon. 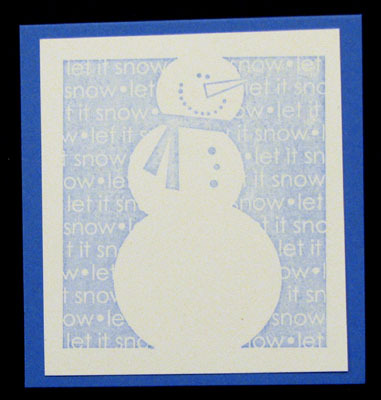 Ink your snowman with Bashful Blue and stamp it on the Whisper White cardstock. 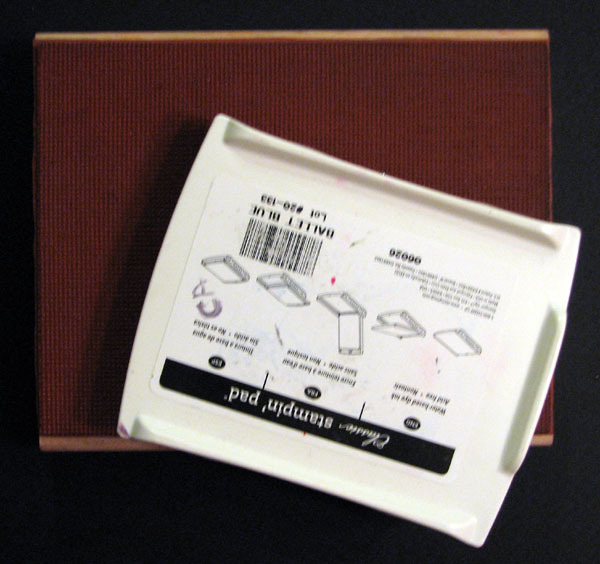 The cardstock should be about the same size as the stamp so it make it easy to line up. 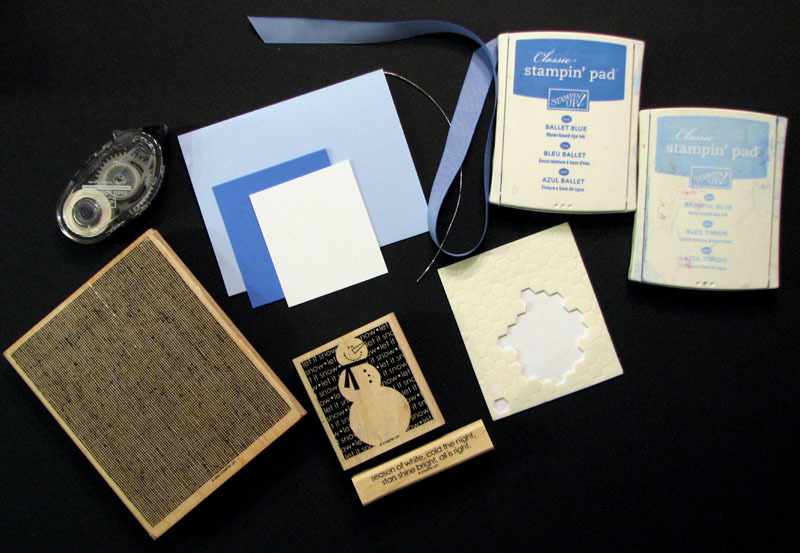 Then attach the Whisper White piece to the Brocade Blue piece using snail. Place 4 Stampin’ Dimensionals one in each corner. I like to use the Stampin’ Dimensionals when ever I go over ribbon because it makes it much easier to keep it smooth plus I like the dimension. Attach your Snowman to your card and you are done. Fast and simple.